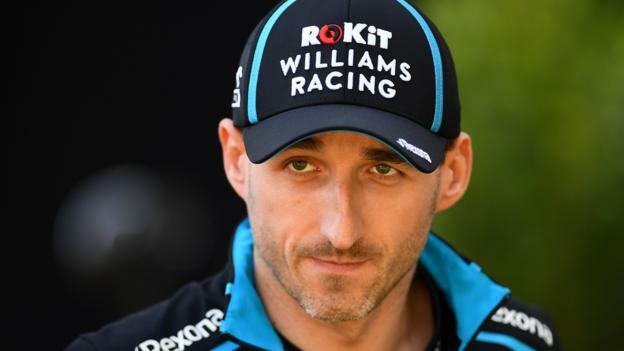 Daniel Ricciardo has paid tribute to Robert Kubica for returning to Formula 1 eight years after suffering life-changing injuries in a rally crash. Kubica, who will drive for Williams this season, has only partial movement in his right arm after it was partially severed in the accident in 2011. Renault driver Ricciardo said: “I don’t think we all know the extent of what he has been through to get back here. The Pole, now 34, was one of the leading drivers in F1 when he had the accident in which he also suffered several other major injuries. Kubica, who won the 2008 Canadian Grand Prix for BMW Sauber, almost won a Williams drive in 2018 but was passed over in favour of Russian Sergey Sirotkin. But Williams dropped Sirotkin at the end of last season after being convinced Kubica was up to the task of returning. Williams, whose car was two and a half days late for the start of pre-season testing, are expecting to start the new season in Australia this weekend in last place but hope to improve as the season goes on.